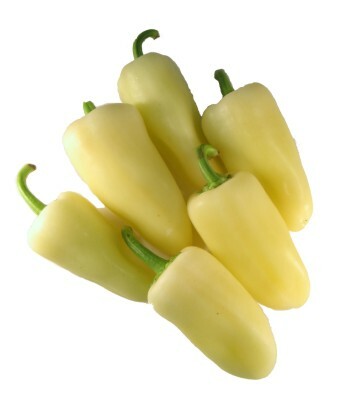 General Information: A variety of chile that is usually no more than five inches in length, has a pale yellowish color, and a flavor that ranges from moderate to hot. It is also known as the guero chile and the Santa Fe grande chile. This chile has a thick, waxy wall that lends a nice "crunch" when eating. Use in sauces, salads or can be pickled. Chile imparts a sweet, waxy flavor.